for three to four dinners at the beginning of the week. It can feel a little daunting for those who are new to this, and that’s understandable. But after some practice it becomes easy, and incredibly worthwhile. especially if you’ve never done it. 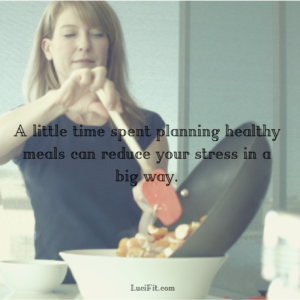 But soon enough, you’ll see that the small amount of time you spend planning reduces stress in a big way and makes it easier to eat healthy throughout the week. What happens when you don’t plan your weekly meals? You end up filling up on foods you wish you hadn’t. When you don’t have the right food in the house, you eat whatever you’ve got. What you usually end up with is not the healthiest. You don’t make the best food choices. Last-minute shopping is usually right before your meal. And you know how difficult it is to make healthy food choices while hungry. You’re also more likely to pick up a prepared meal with questionable ingredients than to grab healthy ingredients to make something at home. You waste time. The total travel, parking, and shopping time is greater when you do it more often than when you make one big trip. Think about when a plan made things easier for you. It could be a financial plan, for example. First, you discover how you can reach your financial goal. After the planning and figuring is done, it’s a no-brainer. So much so, that even when you don’t feel like putting money away you do it because it’s the plan. Another plan that works for everyone is the work calendar. When you have work meetings on the calendar, you go to them—no questions asked. They’re there, and you do them! It’s the same with food. The planning requires a little extra effort but it makes things easier going forward. Decide on three to four healthy food combinations in advance. 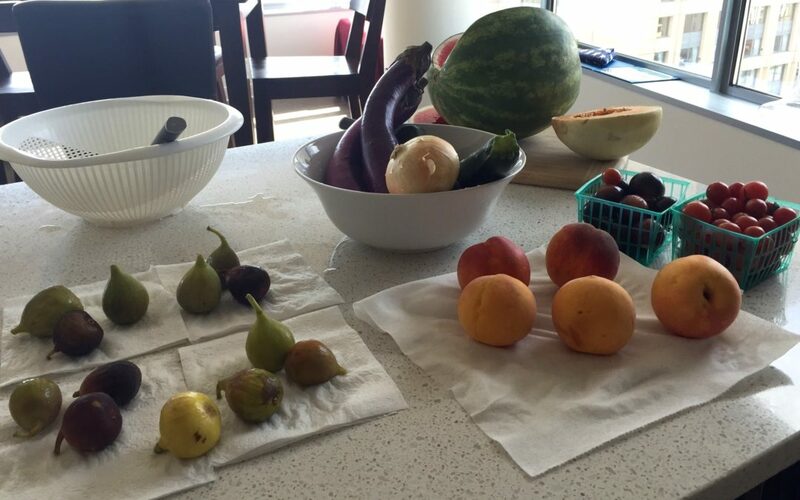 Choose foods that you like to eat, and that make a balanced meal for you and your family. Then, put these combinations on your shopping list. Voila! After the plan is done, there’s much less stress. 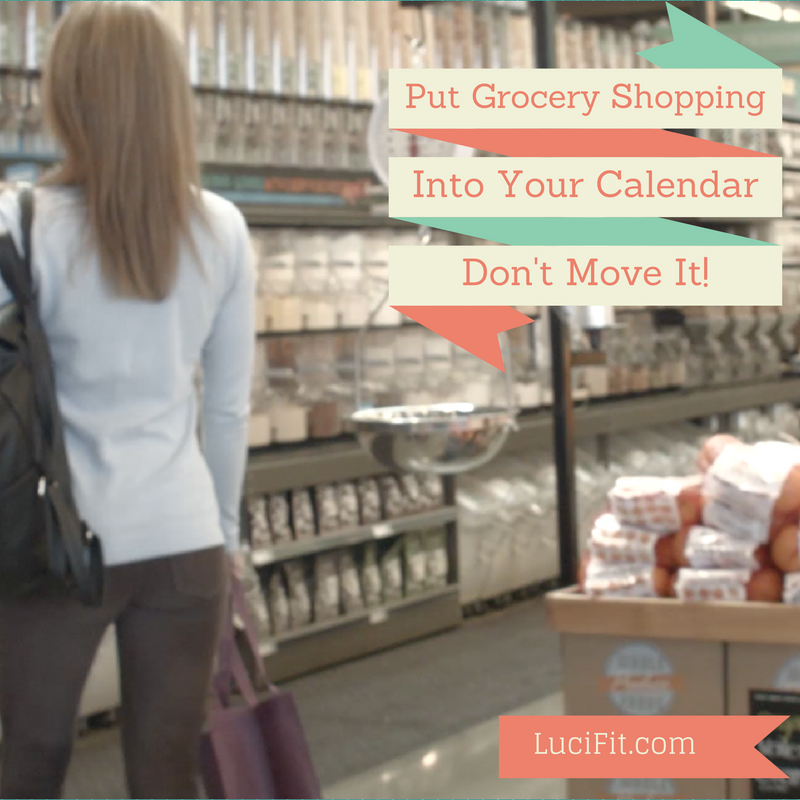 Put the shopping day in your calendar—don’t move it—then work your plan: buy the food, and when the time comes, make the food. No extra brainpower is necessary after busy days at work. There’ll be fewer boxed food meals and no extra calls for pizza delivery. You don’t even have to change your list every week. The same meal with a different ingredient or two can make it feel completely different. It gets easier and faster. You’ll decide on your favorite food combinations. You’ll find your favorite, healthy brands at the grocery store. You’ll remember how to cook your favorite dishes and get comfortable with improvising. And, you’ll be in the swing! Anything that’s important in your life needs to be planned into your life. 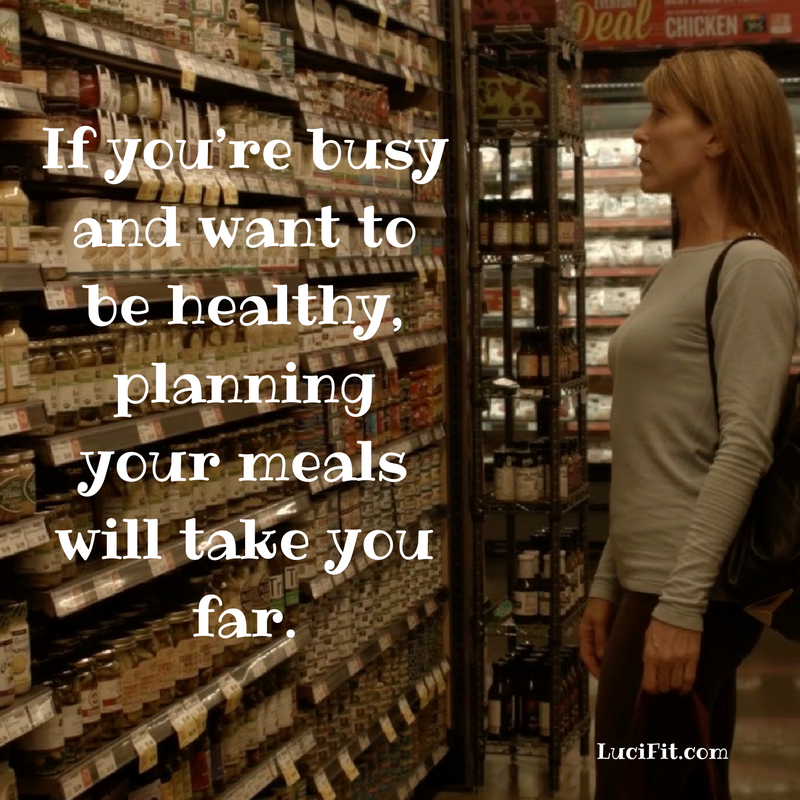 If you have a busy life and want to be healthy, planning your meals will take you far. When starting out, a coach or someone to hold you accountable can be very helpful. Do you have a plan that works for eating healthy on a regular basis? Share below. My new book, Eat to Lead, addresses how you can use food to boost your brain power and productivity, and make healthy food an easy part of your busy life. Check it out here!